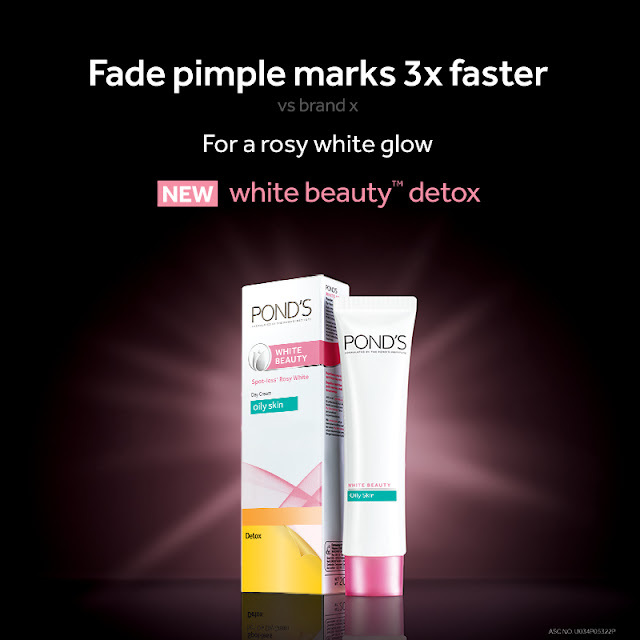 Beauty News: Pond's White Beauty Detox on Sample Room! Today’s environment is just too harsh for our skin. The harsh sun causes dark marks on our skin, and the dirt and pollution cause pimples that leave stubborn dark pimple marks. After years of research, The Pond’s Institute introduces Pond’s White Beauty Detox for Oily Skin – with Vitamin B3+ that protects skin inside to fade dark pimple marks 3x faster, for a Rosy White Glow. Finally, a new solution to dark pimple marks! Get your free samples at Sample Room today!! !